As the principal, chief resume writer and executive career coach for Superior Resume & Career Services, Erin Cambier is passionate about helping high-achieving executives and managers propel their careers forward. After a successful 10 year-career as an HR Manager and Executive Recruiter, she launched Superior Resume & Career Services in 2009 to help managers and professionals drive their careers forward. —> HR Staffing Executive with 15+ yrs recruiting experience at Fortune 100 & world-leading organizations. Personally read and reviewed more than 50,000 resumes. Hands-on business leadership experience. 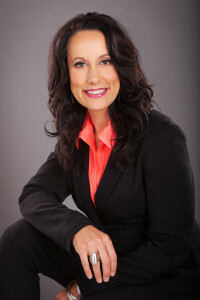 —> Certified Professional Resume Writer (CPRW) and Professional Career Coach. —> Hands-on business leadership experience in from banking to healthcare, retail, manufacturing, insurance, and more. You get your own personal coach and career advocate, guiding you to success in the most effective way possible! Erin will ensure your résumé is designed to grab the attention of the reader — whether it’s someone in HR or a top executive in the company – and then help you keep their attention through the interview and hiring process. This insight will be invaluable to your successful career transition. Your career is unique – and so are our services. You will be treated individually to accurately present your strengths and background. You’ll receive personal service throughout the entire process. A senior executive and a recent college grad have entirely different career and résumé needs. We are NOT a cut and paste résumé service! We spend a minimum of 8 hours with every résumé and cover letter package we write; fine tuning and perfecting it in every way possible. Erin is passionate about helping her clients achieve their career goals. You’re not a number or just words on paper – her purpose is YOUR CAREER SUCCESS. Erin’s speciality is bringing out strengths and abilities you may not even realize you need to highlight during your job search. She will ask you the right questions and be here to support you throughout your search. Learn more about what others have to say about Superior Résumé & Career Services on the testimonials page.